The thundering action and towering drama of Ben-Hur won 11 Academy Awards in 1959. 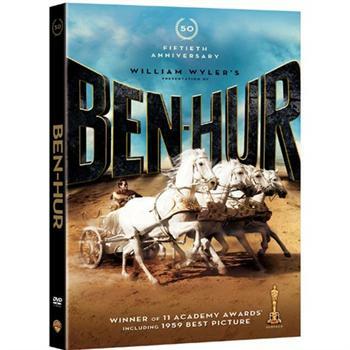 This digitally enhanced release will win the hearts of a new generation as they follow the exploits of Judah Ben-Hur, a Jewish nobleman in first-century Palestine who was enslaved by the Romans and came to faith in Christianity. Stars Charlton Heston. (G.) Warner Home Video, DVD. Two DVDs, approx. 3.5 hours total.